Check out these lovely subtle wallcoverings by Louise Body, an interesting and imaginative designer of unusual wallpapers and fabrics . Her inspiration for her new 2012 collection, called Stonewall was an old wall covered in lichen. 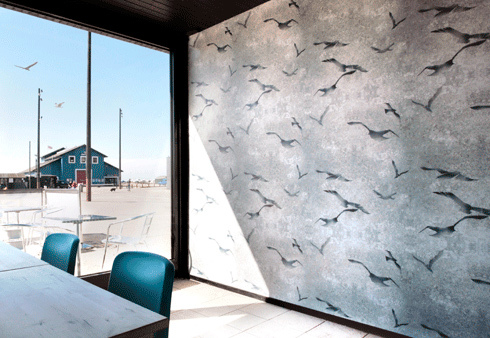 She has added beautiful and soft designs of birds and meadowflowers to create a unique range of wallcoverings.